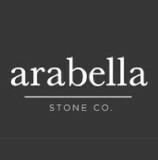 Arabella Stone Co designs and builds stone structures and outdoor living areas. We specialize in the craft of drystone walling and creating artisan stone installations. Our company was founded in 2010 by artisan Daniel Arabella. Daniel’s extensive background in the arts and construction industries provides a cohesive blend of skills and a fresh approach to a traditional craft. We’re licensed and bonded in the State of MN and connected to a vast circle of incredibly qualified craftsmen from landscaping to carpentry. We are also available to build for designers, architects, builders, and contractors. We work all year round, indoors or outdoors. We are located in the Twin Cities but will work anywhere in the world. Call (612-825-2580) or email Daniel for a chat about your ideas and he will give you advice, a free quote, or recommend the right person for the job. Brock White has you covered with all of the construction and building materials you need. We're a professional grade construction materials supplier, offering high-end construction supplies from the best and most reputable brands. We are the Twin Cities' premier epoxy and coatings company. Letendre Concrete and Design, Inc.
Letendre Concrete & Design, Inc. was established in 2007 by owner Shawn Letendre. Right from the beginning Shawn has had a clear goal that he would work with the customers to meet their needs and exceed their expectations. Continuing to stay focused on his goal and having over 20+ years of experience in the concrete field he has earned the inevitable reputation of being dependable, customer orientated and showing meticulous attention to detail. Shawn takes great pride in the work that he does, and sets himself apart from others by his customer's satisfaction with the end result. Allan Block Retaining Wall and Patio Wall Systems are the leading hardscapes developers of segmental and mortarless retaining wall systems. Offering a full product line of concrete retaining walls, courtyard patio walls, privacy and sound barrier fences. Our stackable blocks are environmentally friendly products inspired by nature. We have complete and detailed information on using our products so the project will be built quick and easy. The Hardscape design team and installation crew are always directly supervised by the owner who is on site every day working to make sure that the project turns out exactly as planned. Our projects speak volumes about our craftsmanship so please take a look at our stone and paver projects to see how we can help you design the back yard of your dreams. Hardline Concrete & Masonry Inc.
Hardline Concrete & Masonry Inc. is a second generation concrete and masonry contractor. Family owned and operated by Jon & Brenda Dietrich. Jon has 25 years of experience in the concrete and masonry field, both commercial and residential. Our Mission: "Turning outdoor dreams into a reality"; with a superior focus on quality by our experienced and respectful crew. From patios, to outdoor kitchens and boulder walls, we are committed to customizing a product for our customers to enjoy for years to come. Our Vision: To maintain a principle member in the field of hardscapes. Continually focusing on innovation, customization, and quality; while never losing sight of our company roots: integrity and respect. At Blakeborough Hardscapes we take pride in what we do! Hardscapes are our passion and we enjoy customizing each project so that it best fits your needs and gives you the look that you want. Small or large we look forward to all projects and want to make your project a smooth and exciting one. We enjoy what we do and want to make your hardscape project as clean and efficient as possible. Our crew is made of respectful and responsible people who always respect you and your property. We take time to make sure your project is cleaned up ever day so you are not looking at a mess after we leave. We do our best to protect your existing lawn and landscape if you are looking to add or remodel something at your existing home. When we leave we want everything to look like it was meant to be there and hope you enjoy your finished project for many years to come. Greg Pietig, owner of Crosstown Concrete & Brick Paving Inc.. established since 1976. With over 25 years of being in business Crosstown Concrete & Brick Paving Inc.. has grown to become one of the Twin Cities premier designer and installer of brick pavers, concrete and retaining wall systems in the residential markets. Crosstown Concrete & Brick Paving's success, with the continued support of home owners such as yours, has made us one of the Twin Cities best known contractors, but it has not diminished our individual service and attention to detail on every job. See the difference true craftsmanship and attention to detail makes in every one of our installations, whether large or small. We take pride in our work… and it shows! Our employees are well trained, conscientious, and highly motivated. My employee’s are the best in the industry, we use only proven materials along with the highest industry standards. We realize that every installation reflects our image as well as that of our clients. Hello, We are Chris and Pamela Roble, the owners of Minneapolis-concrete.com and Cornerstone Custom Concrete. Chris has been a full-time concrete finisher and foreman since 1994. After moving to the Twin Cities in 1998, Chris worked for a local concrete company serving many of the Twin City's prominent builders and developing his artistry in decorative concrete until 2008. In 2008, the company Chris worked for closed down. Chris has since continued to serve Minneapolis builders and homeowners with Cornerstone Custom Concrete, which was originally started as a side business in 2003. Pamela Roble, the wife of Chris, is the website developer of Minneapolis-Concrete.com. Although she has not designed concrete herself, she regularly "picks the brain" of Chris for the steps and "how-to's" of concrete design. She is a teacher, who makes sure that Chris explains the concrete process in a way that anyone can learn. We both hope that you are learning, understanding and getting inspired through our work. $100 Off Any Retail Purchase of $1000 Terms: Get 10% off your next retail purchase of $1,000 or more (mention code 709), or 5% off your next retail purchase under $1,000 (mention code 708). Not good with any other offer. Please email helpful@hedbergsupply.com with questions, visit our web site www.hedbergsupply.com to request a referral to up to three experienced, licensed professionals, or call us at 763.545.4400 for prompt, helpful customer service. 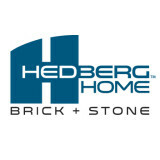 Hedberg Supply is the Twin Cities’ #1 supplier of landscape and masonry supplies. Since 1987 we have helped our customers be more successful with their projects by providing the best product selection, availability and customer service in the industry. At our Plymouth, Farmington and Stillwater locations, we carry deep inventory for the best quality products. Not only are we the preferred distributor for thousands of landscape contractors and masons, but we are also the first choice for architects, designers and builders to send their clients to make masonry product selections. We offer landscaping materials, natural stone, concrete pavers, retaining wall systems, fireplaces and fire pits, clay brick, thin veneer stone, ponds and pondless waterfalls, and garden and nursery plants. For homeowners planning DIY projects, we invite you to register for our School of Rock DIY seminars (every year, April through September). If you’re budgeting for expert help, we work with thousands of landscape, masonry, tree and water gardening professionals. Let us know your goals and we will refer you to three qualified licensed contractors or masons. Please visit www.hedbergsupply.com, email helpful@hedbergsupply.com or call any one of our locations. We distribute professional grade products and stock vast amounts of inventory so you have what you need, when you need it, whether it's by the truckload or just a few pieces to finish up. We serve on numerous industry committees and hold professional seminars that provide continuing education credits. Come home to Hedberg! St. Croix Concrete is a decorative and architectural concrete contractor. Whether it's getting a new concrete floor or fixing old damage floors and more. we're here to help you every step of the way. Custom finishes is a small owner operated 2nd generation concrete company so we really mean it when we say we're here to help you. Is it time you spruced up your outdoor living spaces? Creative Saint Paul pavers, masonry contractors and stone suppliers can help. Professionals specializing in hardscape such as walkways, patios and retaining walls will work with you to design, plan, install and even fix your exterior and interior home projects. Read further to learn how to best find and work with Saint Paul, MN stone, brick, paver and concrete contractors. For the most part, people hire a stone or concrete contractor for large installations like driveways and walkways, or for home facades and exterior columns. These brick, pavers or stonework installations can add lots of functionality and visual curb appeal to your Minnesota home. Pavers come in a wide variety of colors, shapes and sizes, and the right vendor or specialist can help you choose a color and design that complements your existing landscaping. From installing new exterior columns to repairing your chimney, masonry contractors can help you add both visual appeal and value to your property. They’ll know what kind of installation makes the most sense for your Saint Paul, MN climate and regional style. Looking for something that will develop a patina with time? Or would you rather have your home feel brand new for years to come? Choosing the right kind of stone involves thinking about the future, too. Experienced brick suppliers and stone suppliers can help you find the material that will work for your home now and for years to come. These professionals aren’t limited to exterior work either. Whether you want a split-stone granite wall in the kitchen or need help installing traditional brick masonry on your fireplace facade, you’ll want a professional to get it right. If you’re already working with an architect or designer, he or she may be able to suggest a good Saint Paul, MN subcontractor to help out. Here are some related professionals and vendors to complement the work of stone, pavers & concrete: Landscape Architects & Landscape Designers, Architects & Building Designers, Garden & Landscape Supplies, Driveways & Paving, Siding & Exteriors. Find stone, paver and concrete professionals on Houzz. Search the Houzz Professionals section for Saint Paul, MN stone, paver and concrete professionals. Browse photos and read reviews, and contact a pro if you like their work.